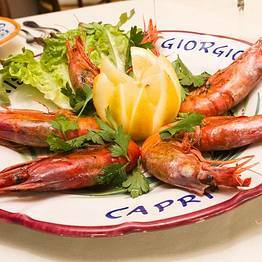 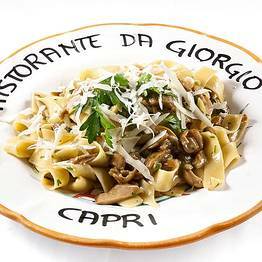 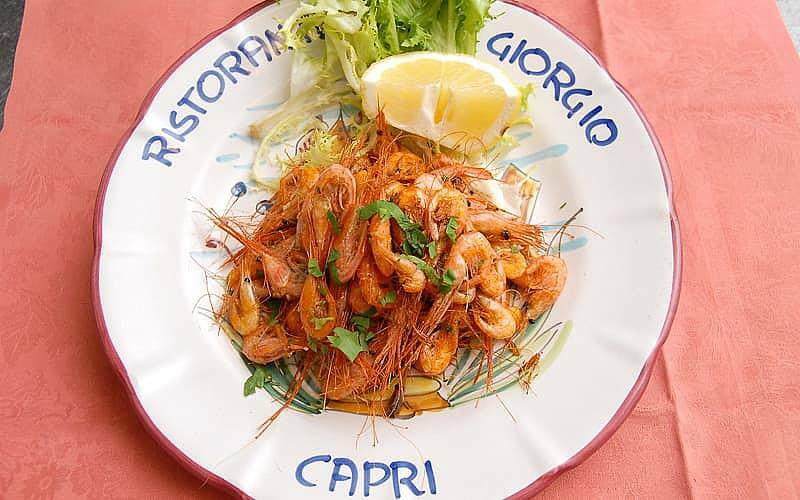 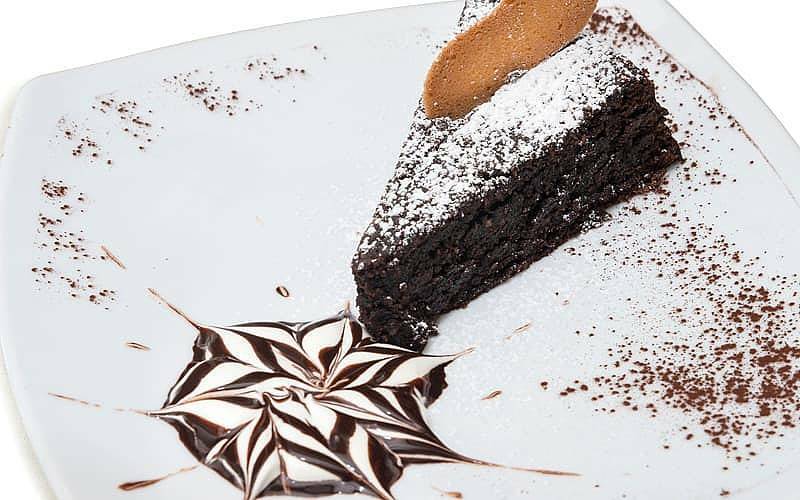 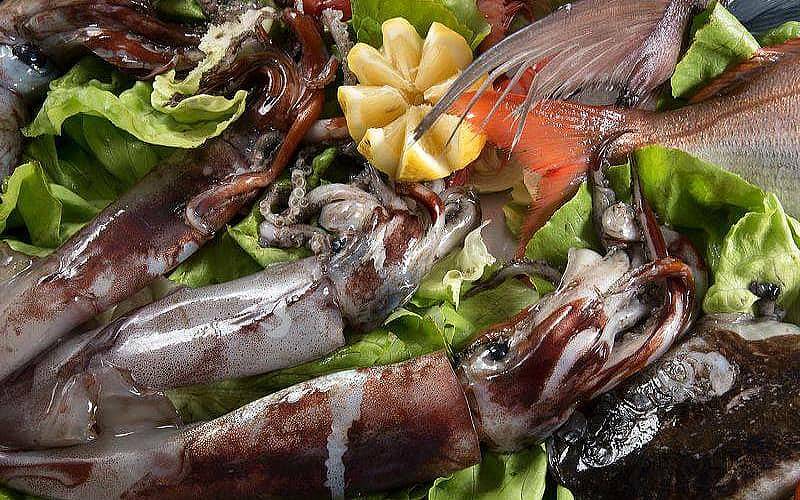 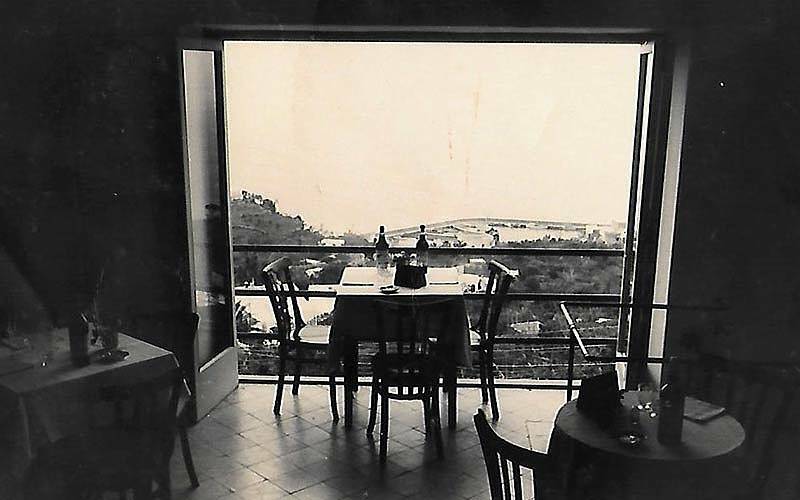 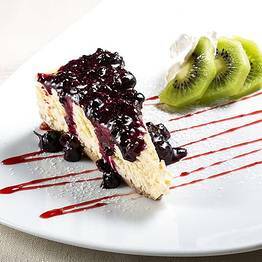 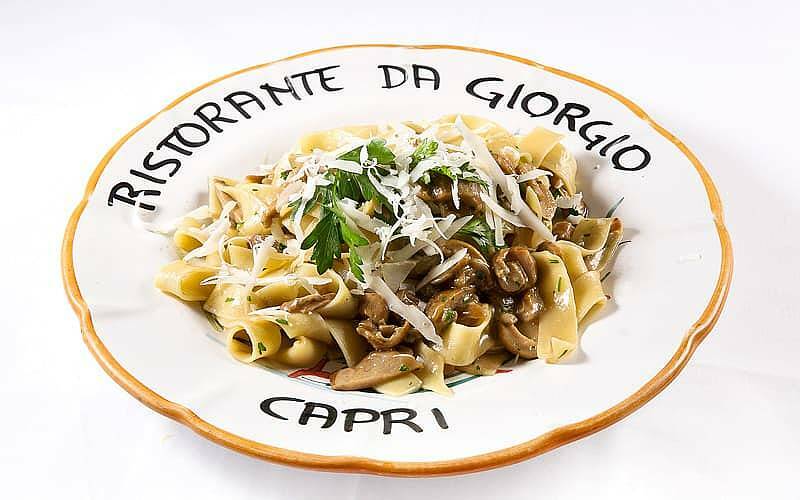 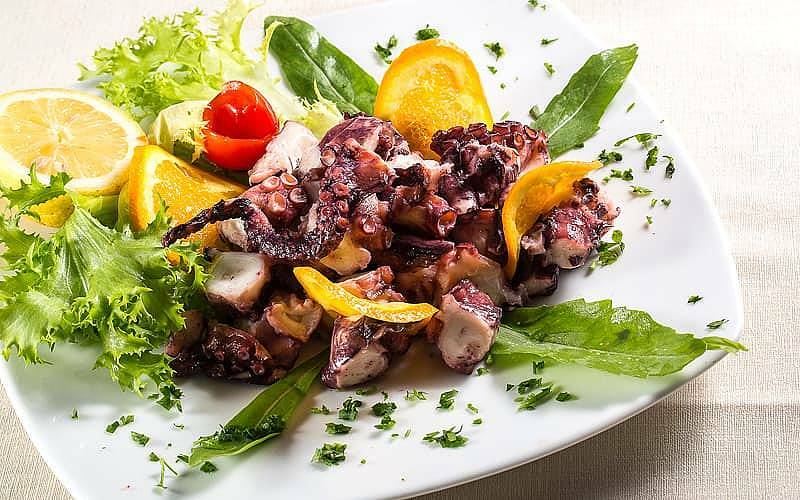 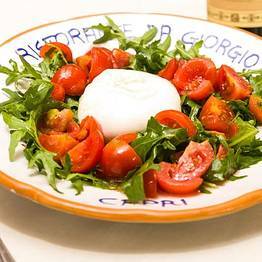 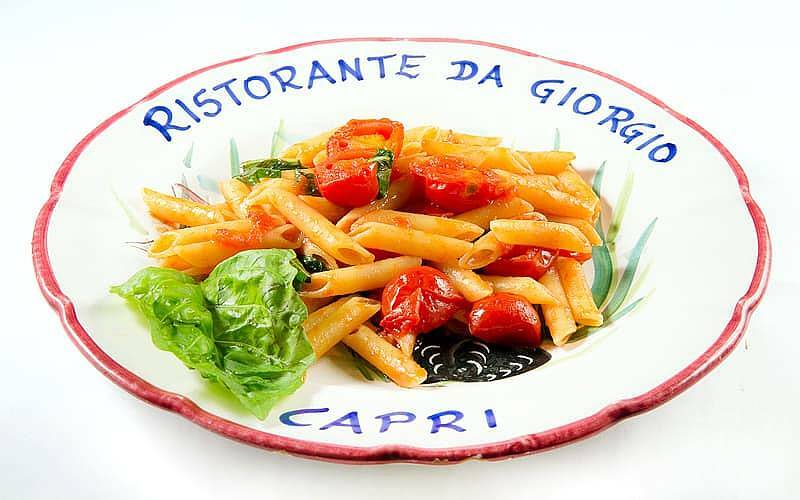 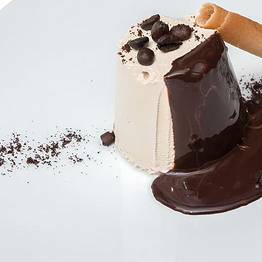 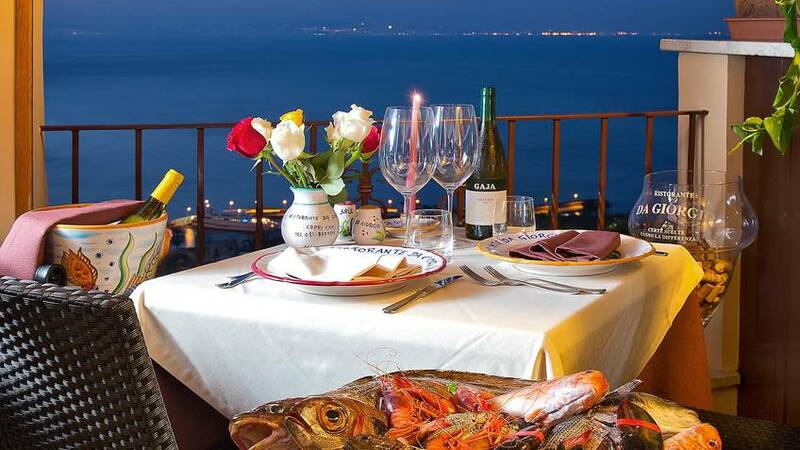 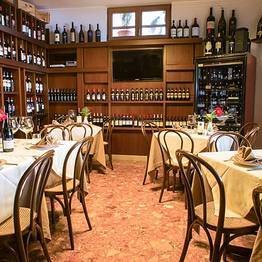 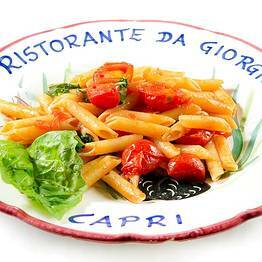 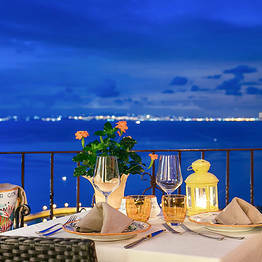 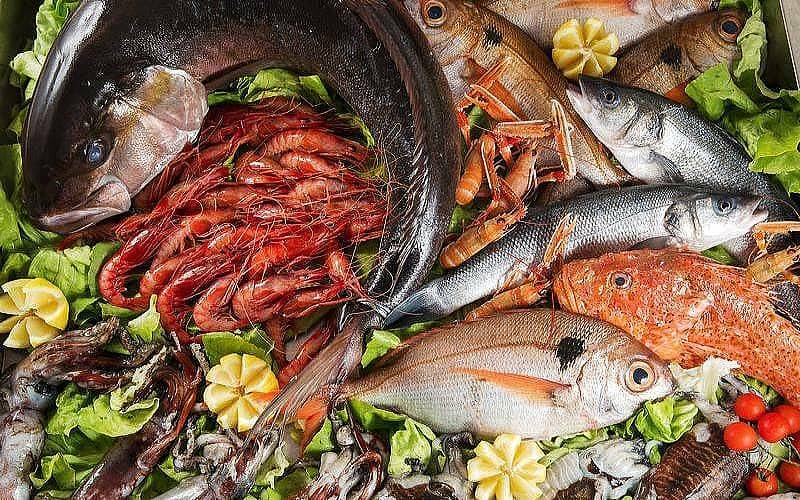 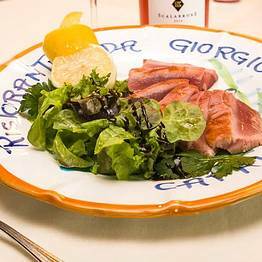 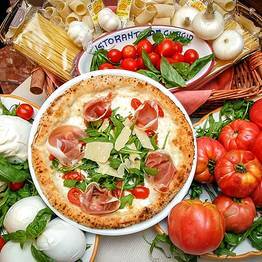 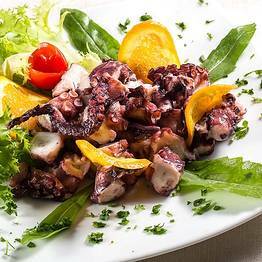 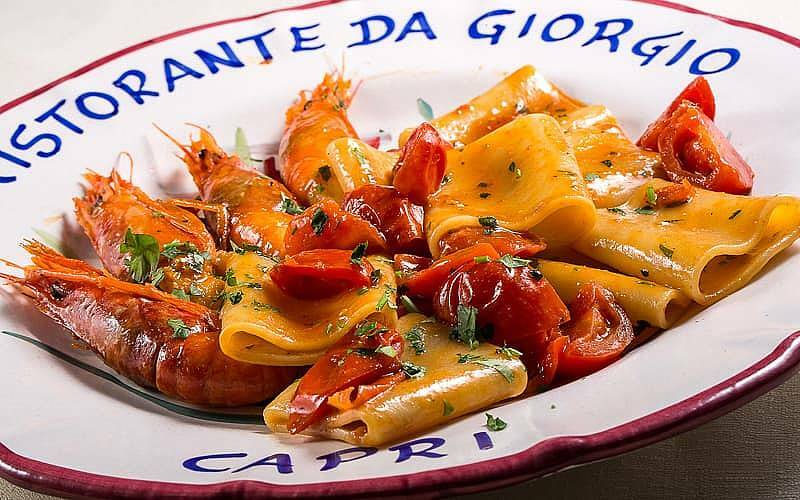 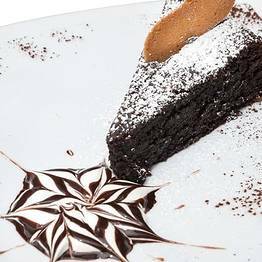 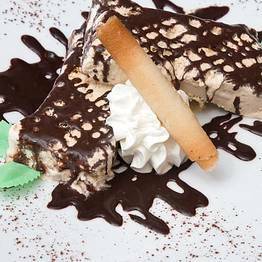 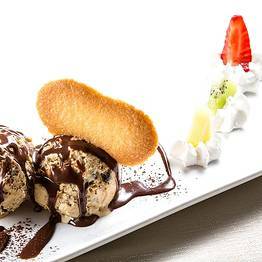 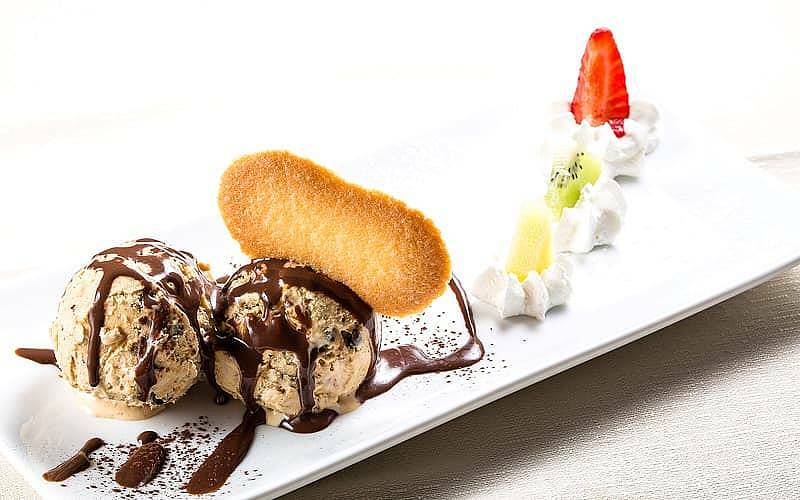 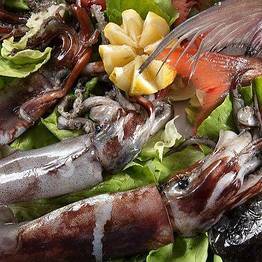 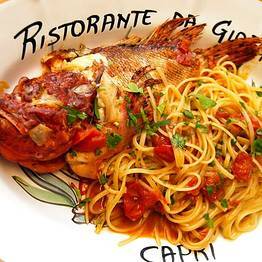 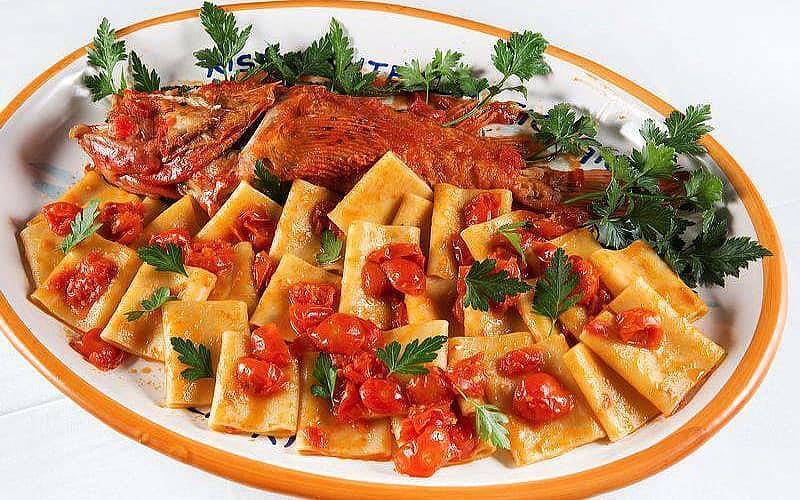 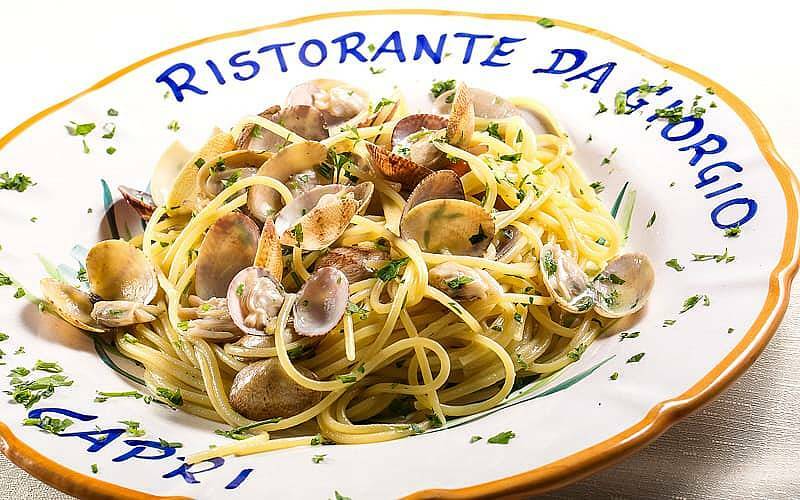 Restaurant Da Giorgio on Capri - Info and Photos: Decades of delicious dishes! 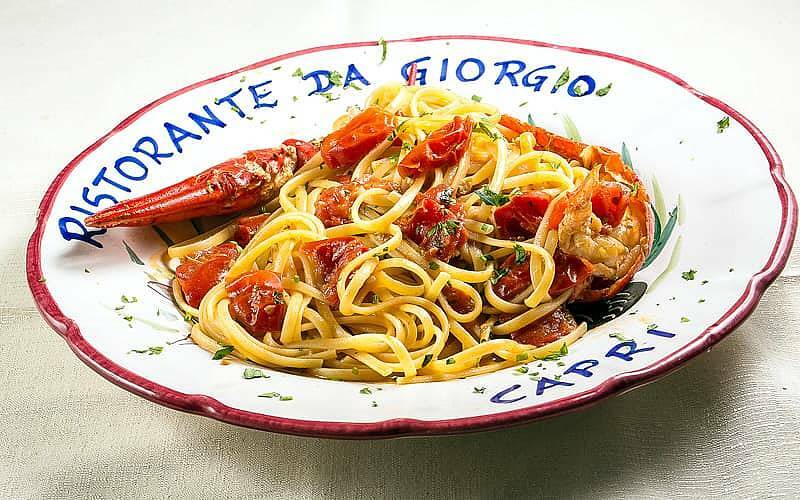 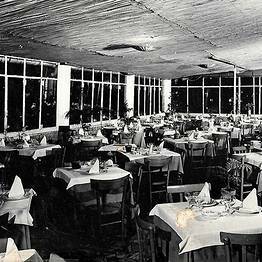 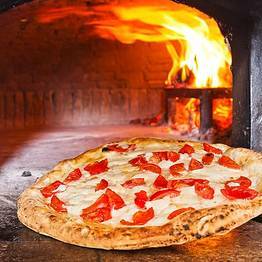 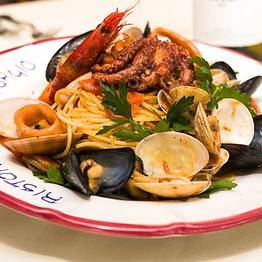 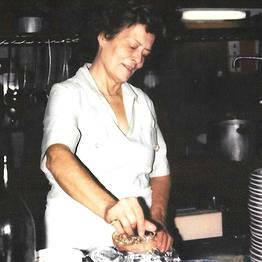 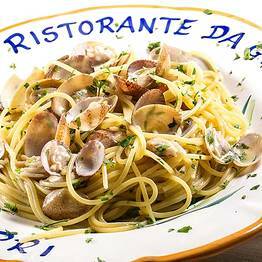 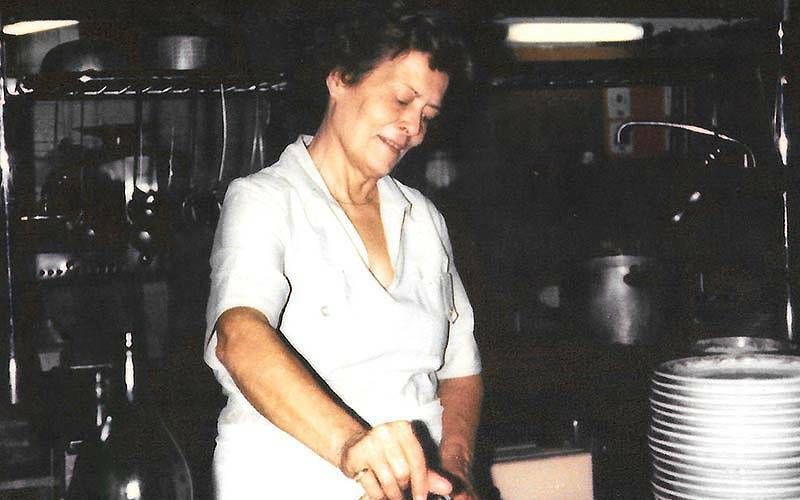 Da Giorgio - Decades of delicious dishes! 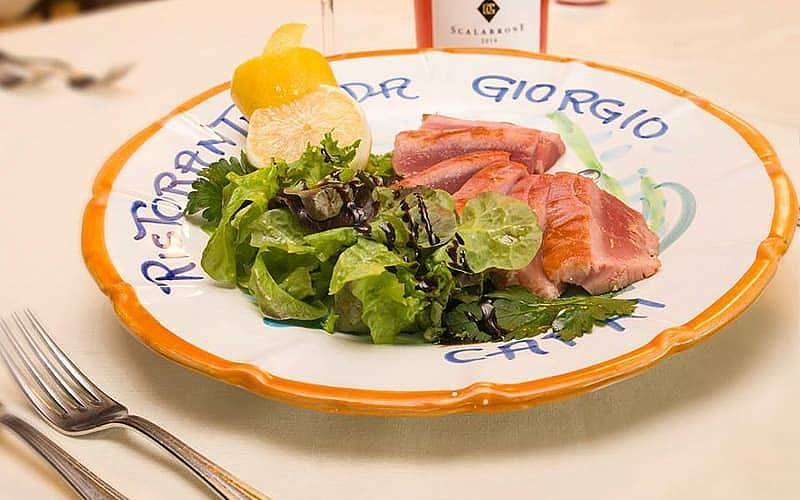 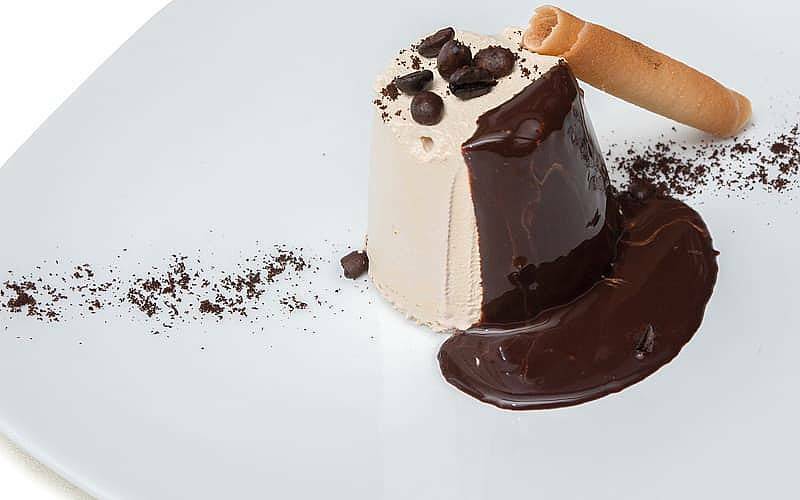 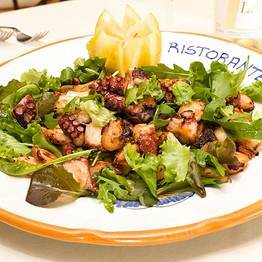 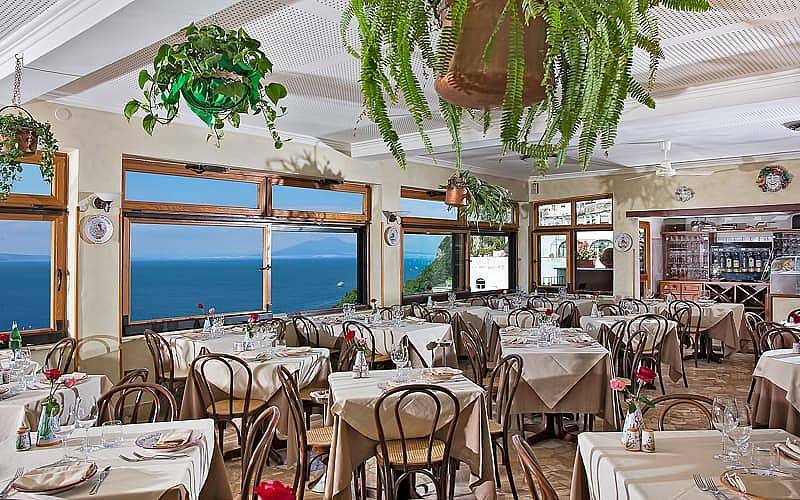 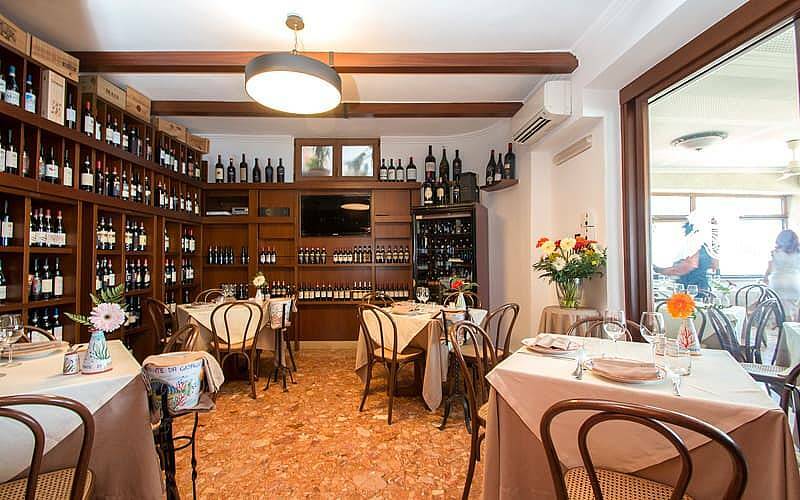 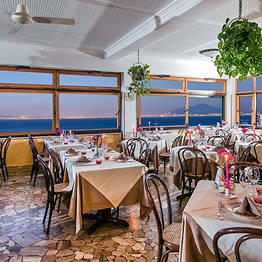 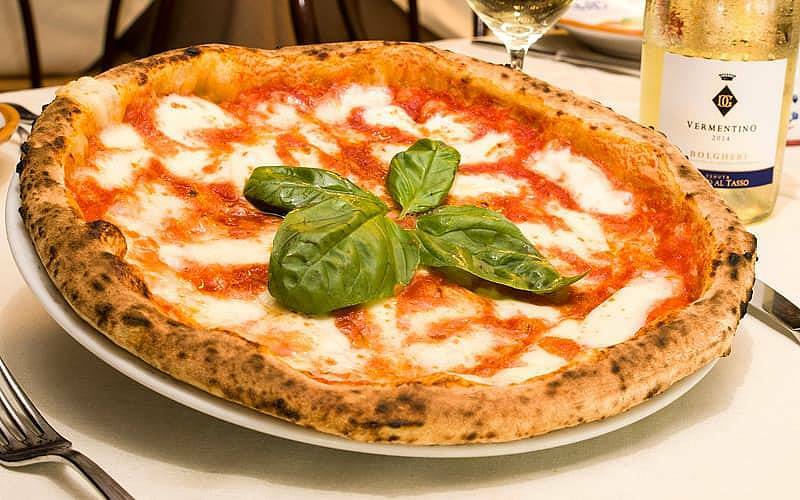 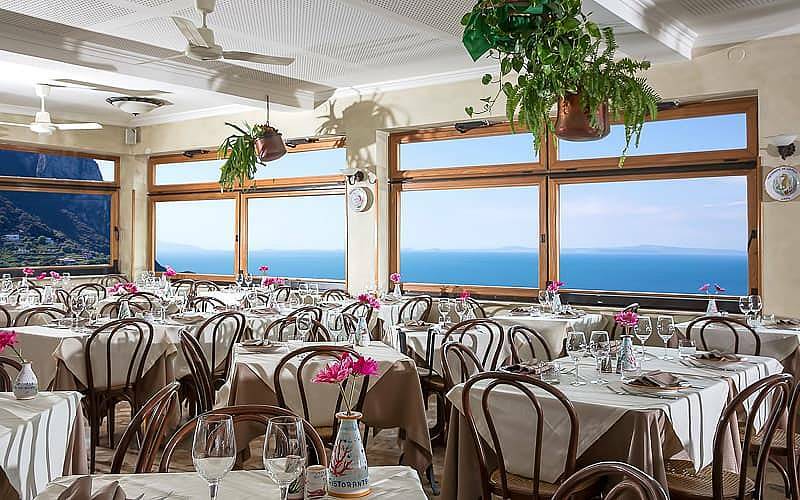 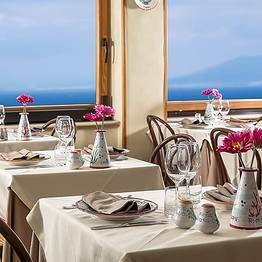 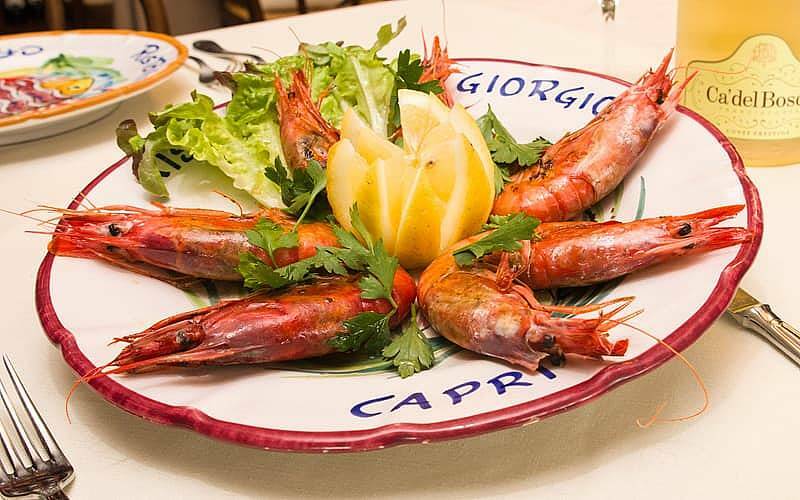 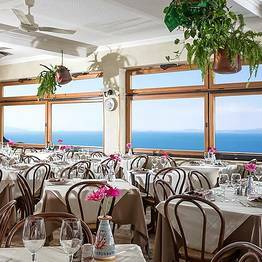 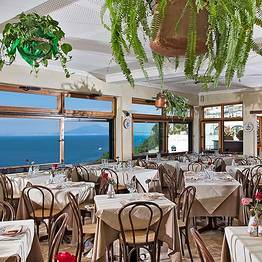 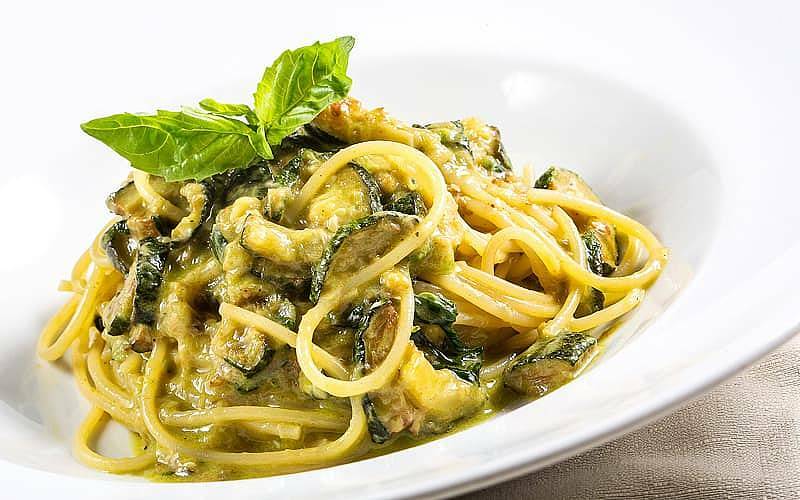 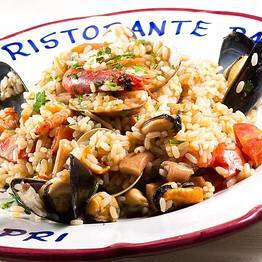 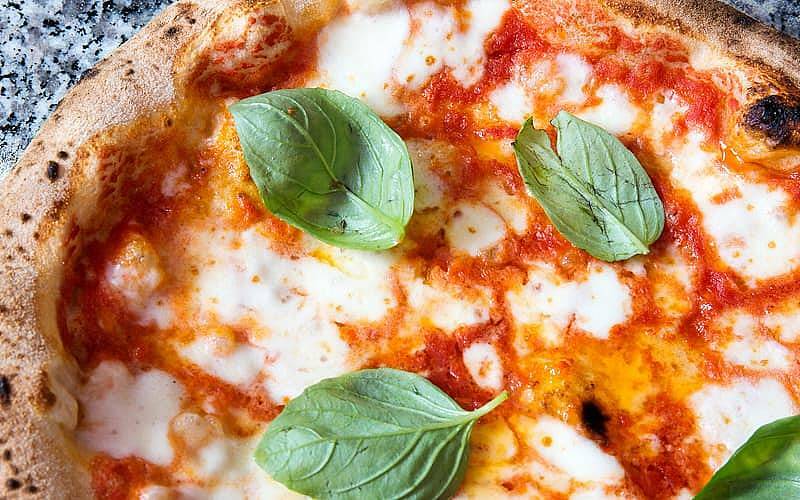 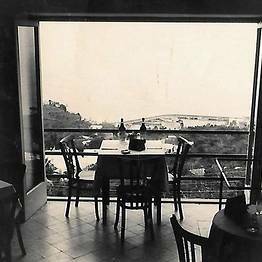 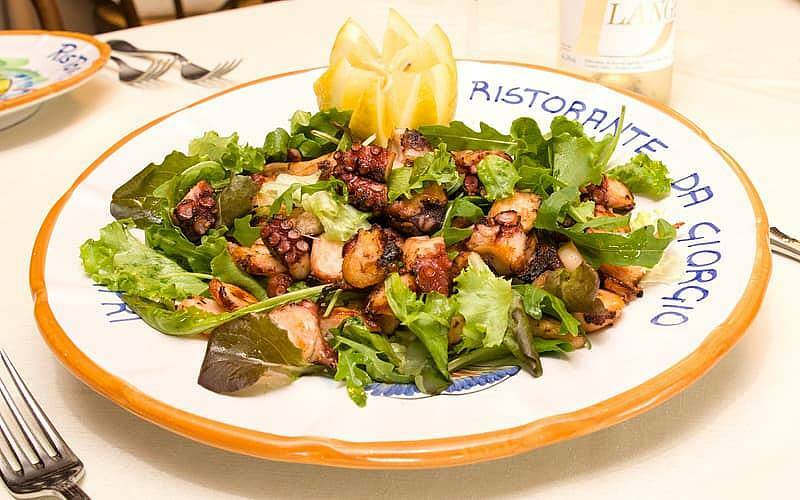 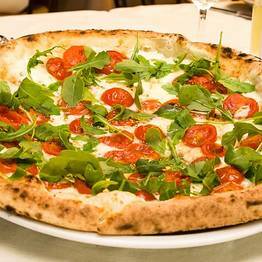 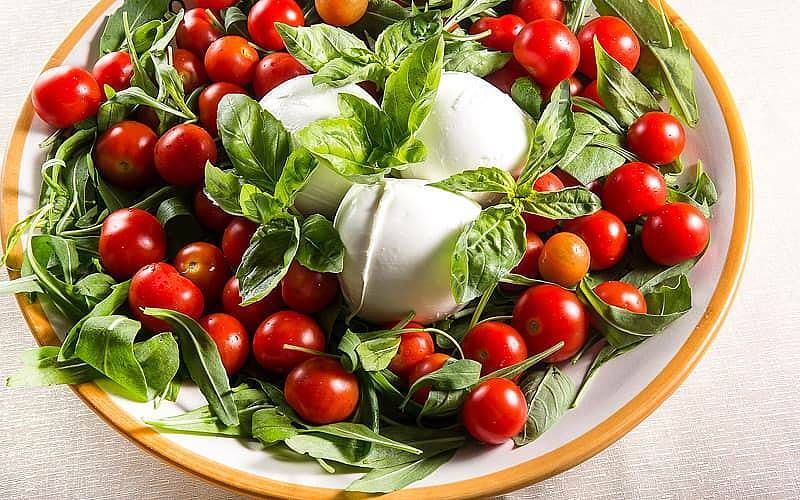 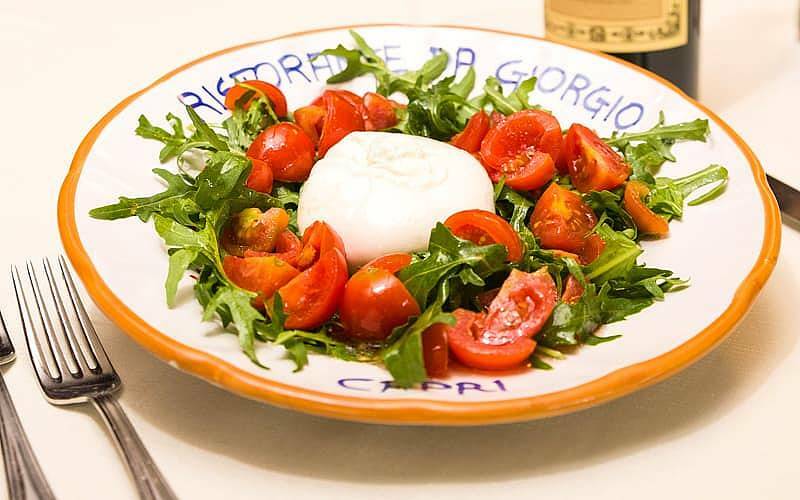 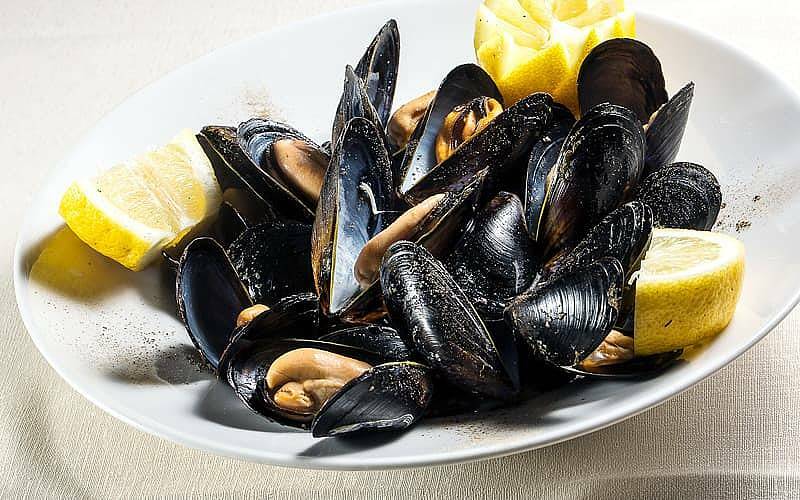 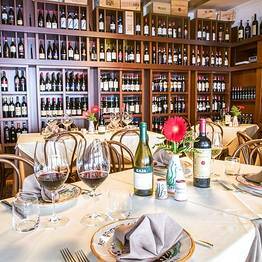 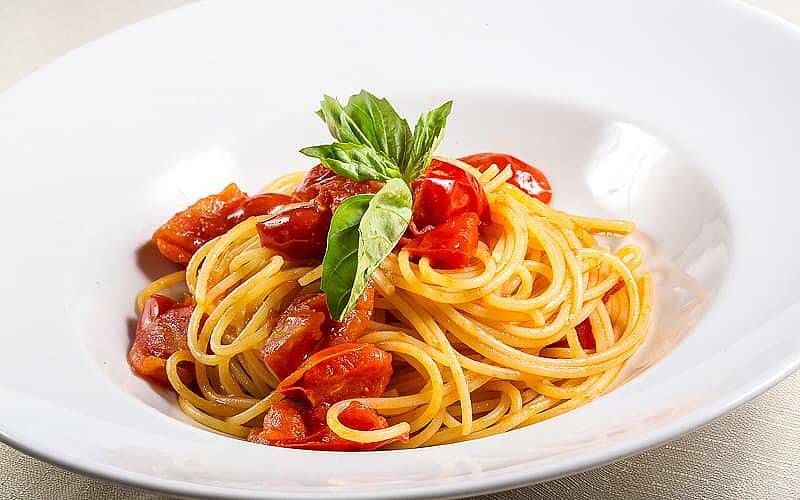 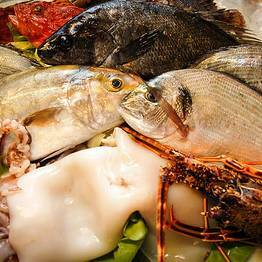 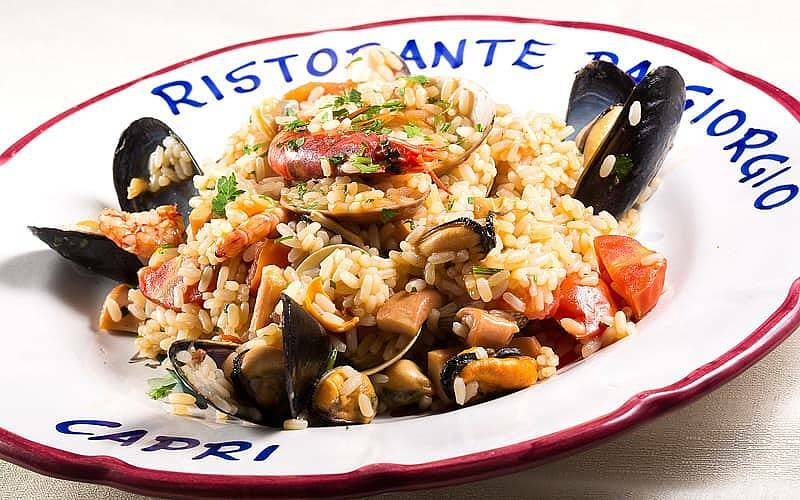 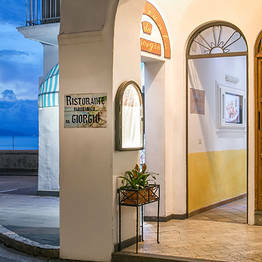 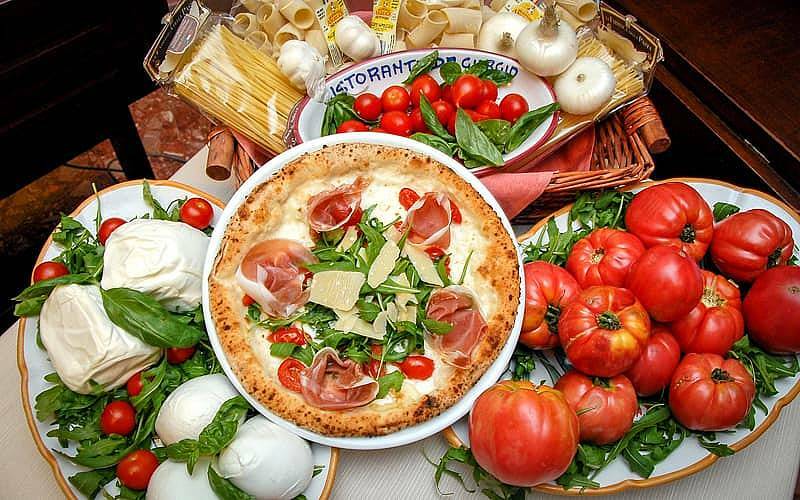 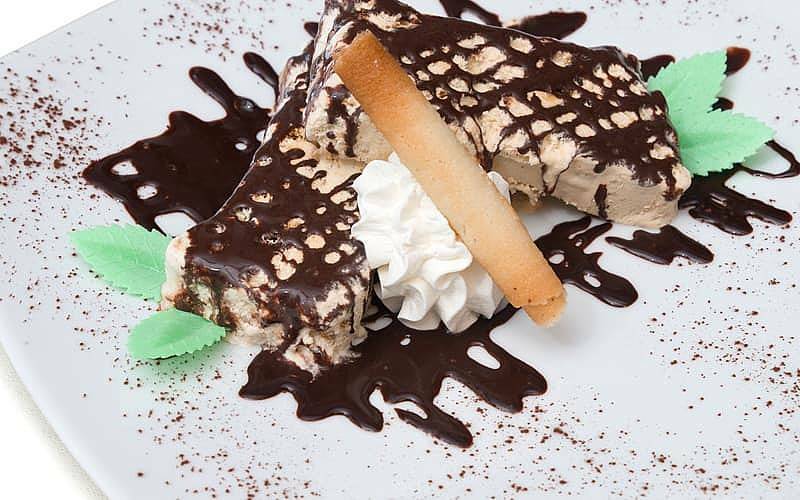 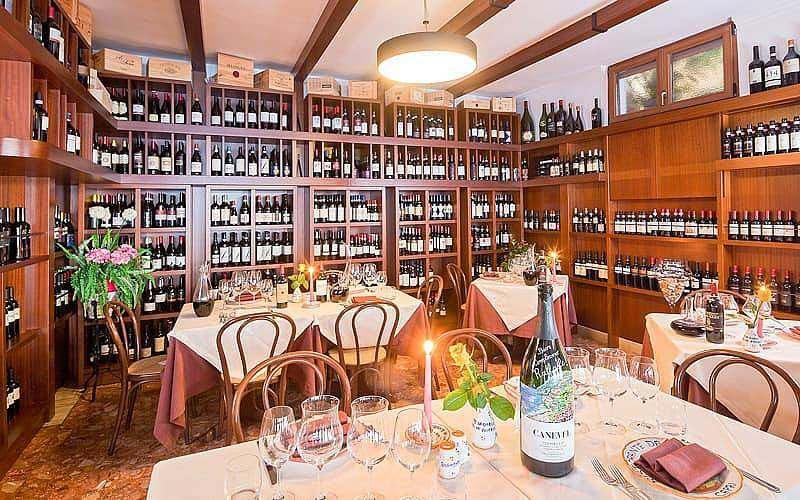 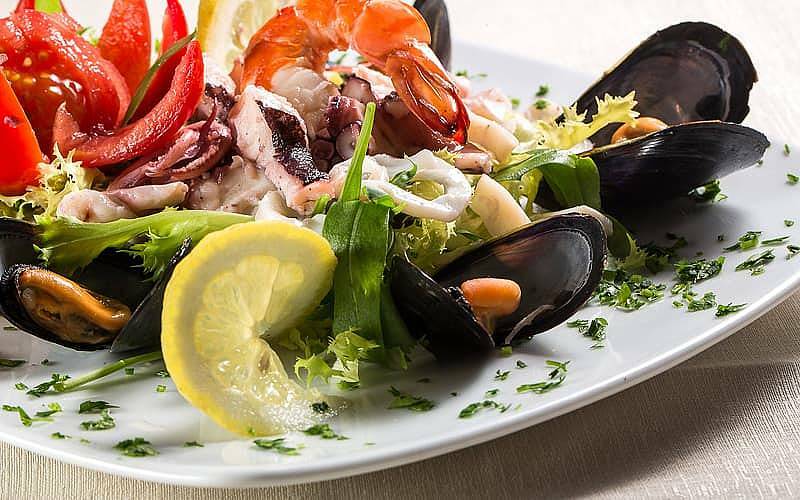 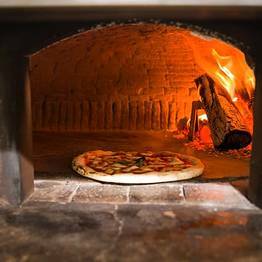 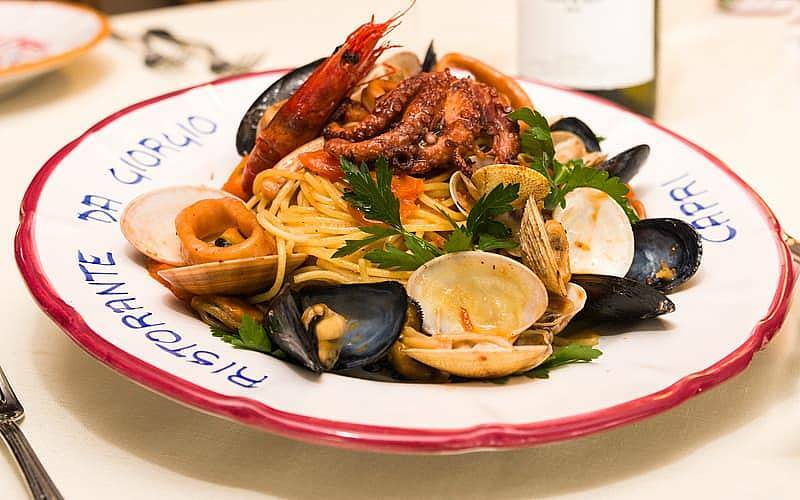 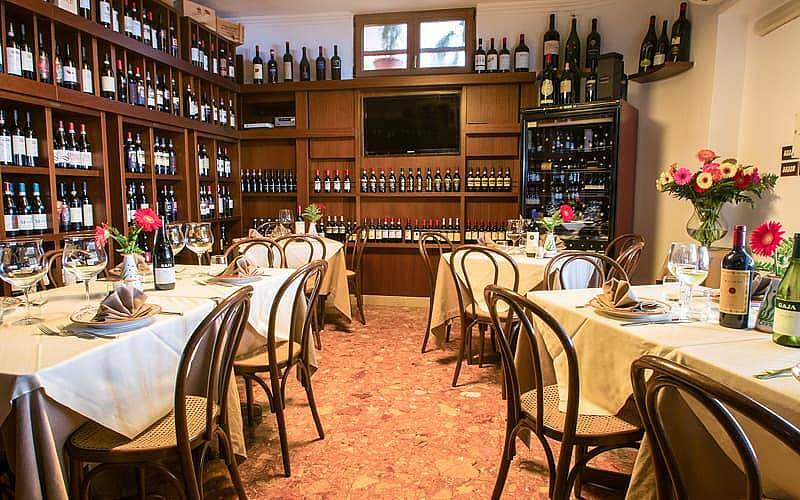 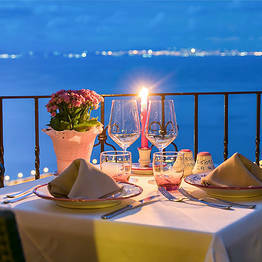 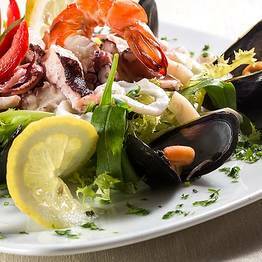 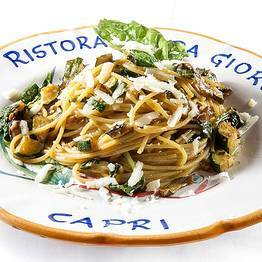 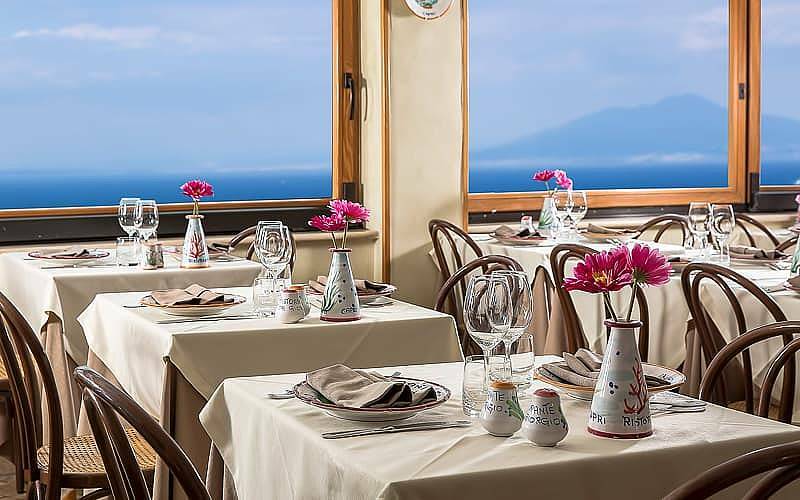 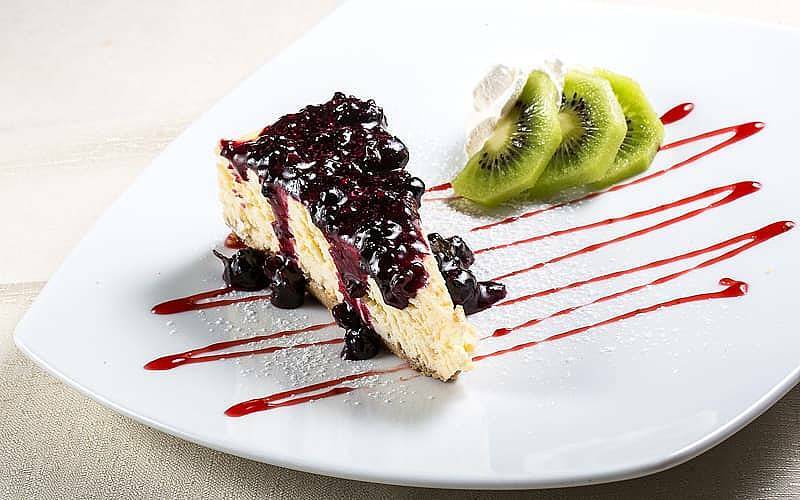 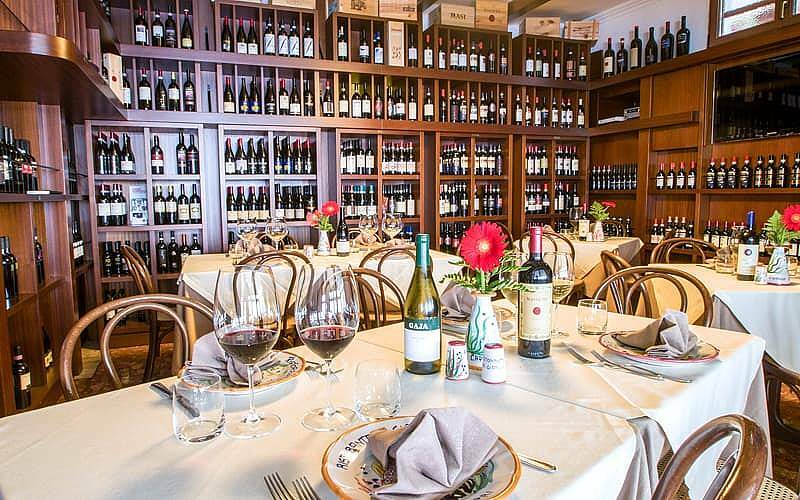 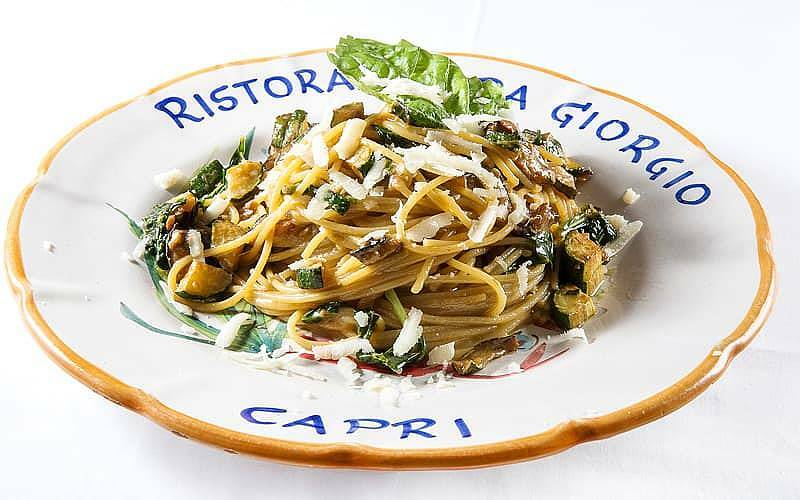 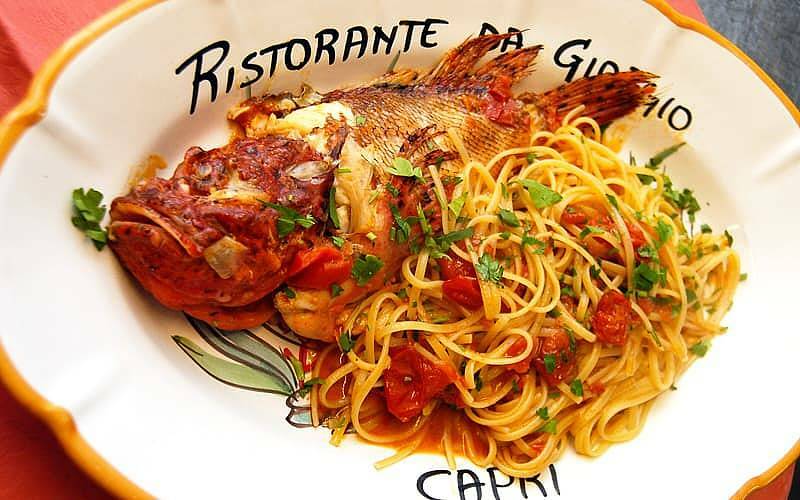 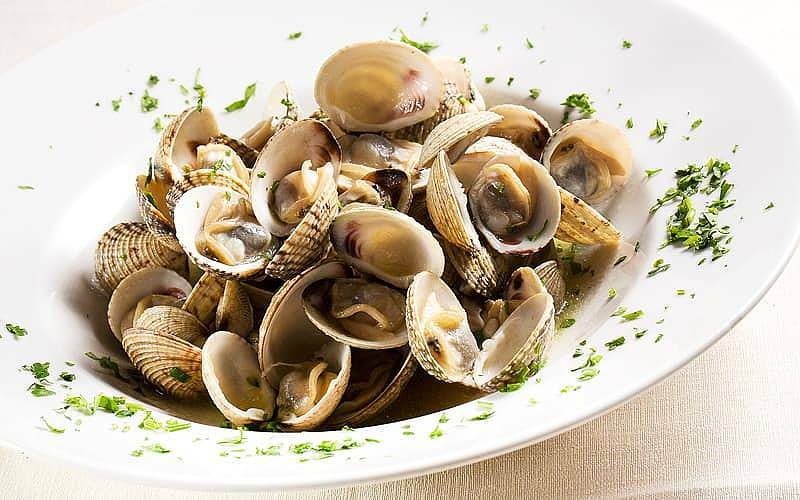 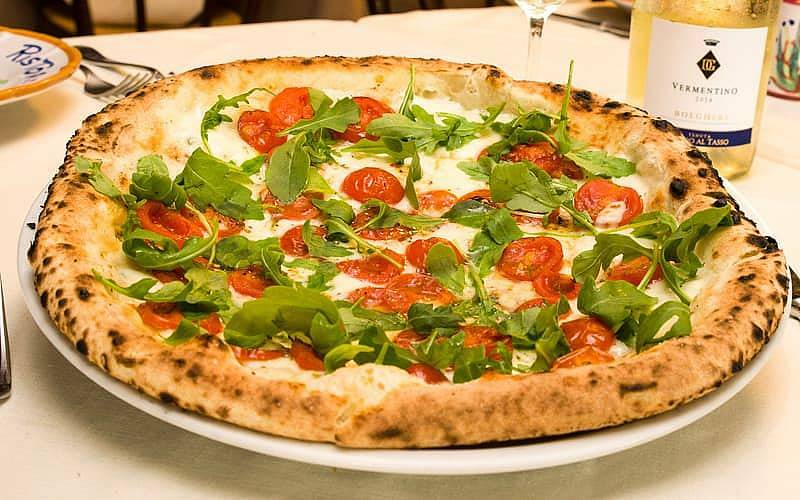 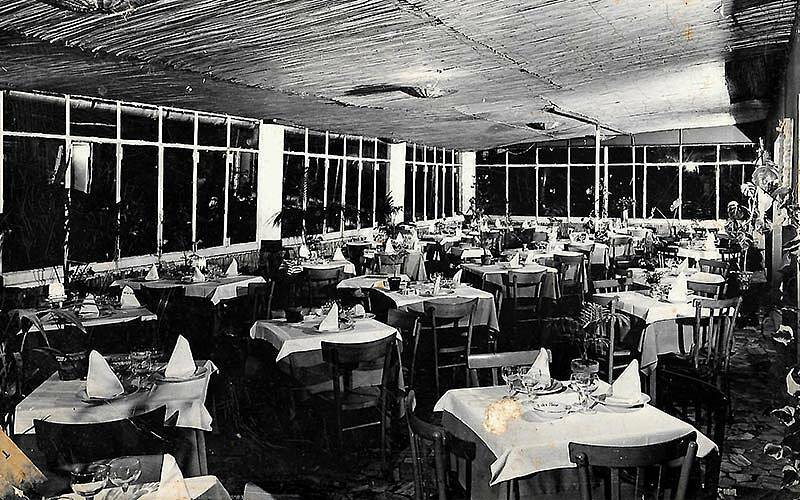 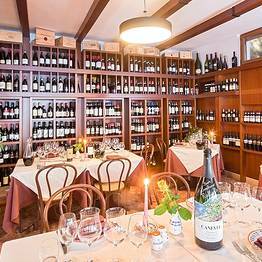 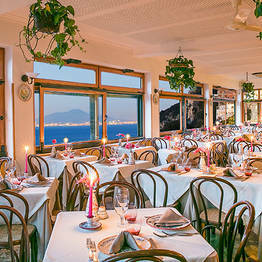 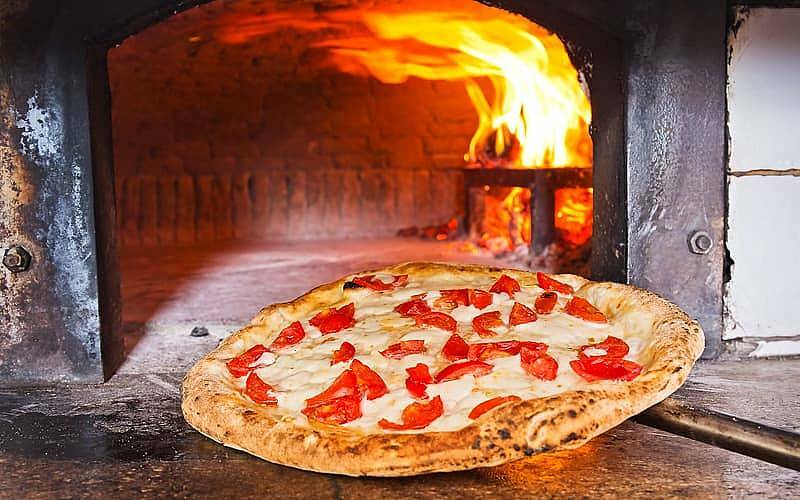 Since 1948, this renowned restaurant, has been serving all of Capri's most-loved specialties, prepared using simple, tasty and genuine ingredients. 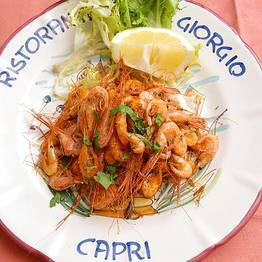 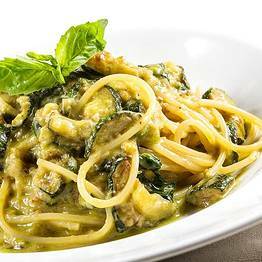 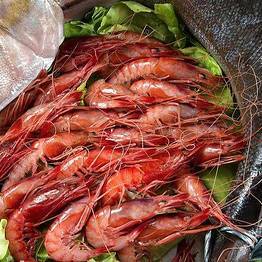 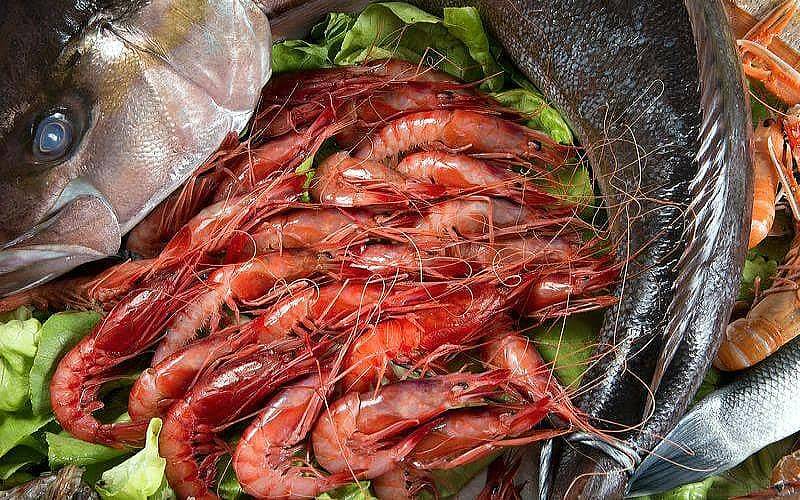 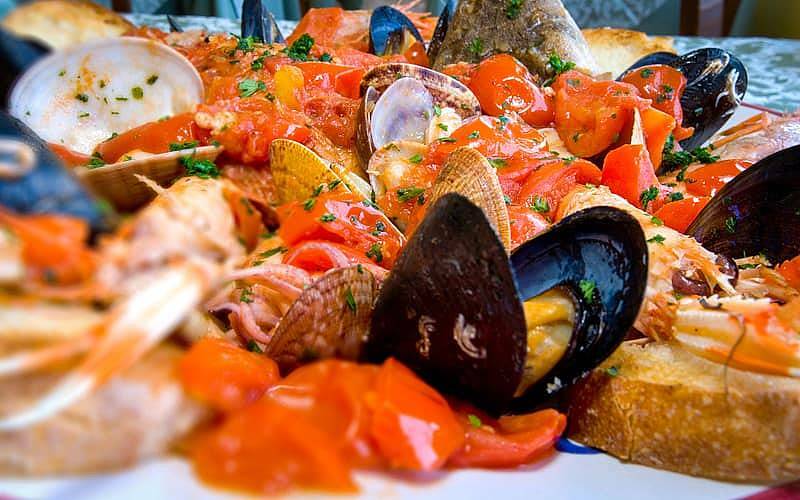 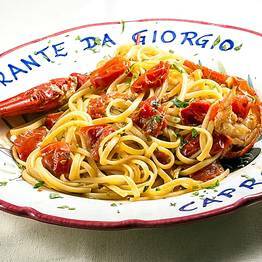 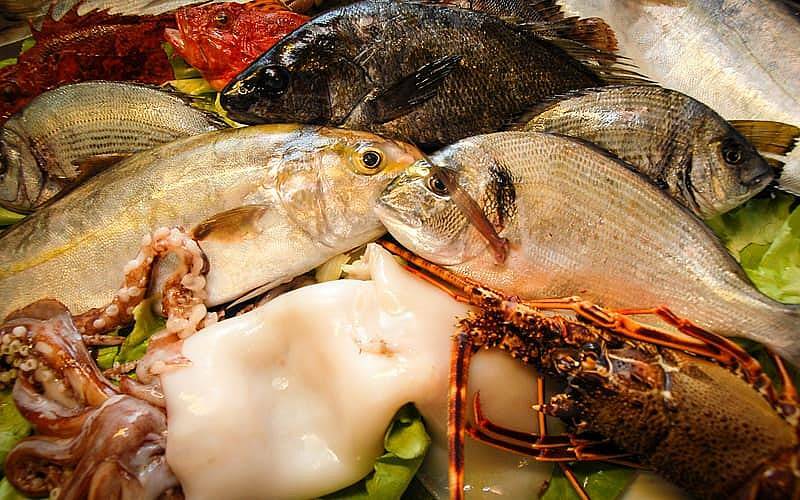 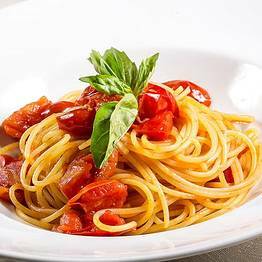 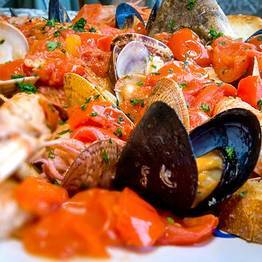 Signature dishes include linguine with redfish sauce, scialatielli with prawns, fish with artichoke and mixed grill of fish. 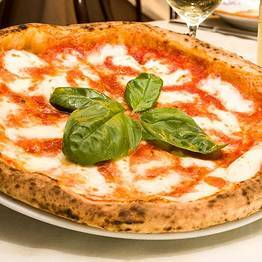 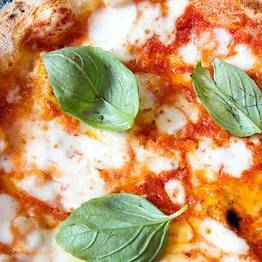 Good Pizza... and Good Wine! 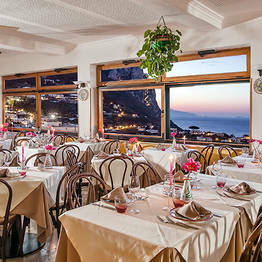 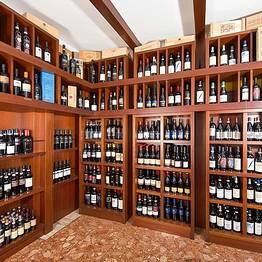 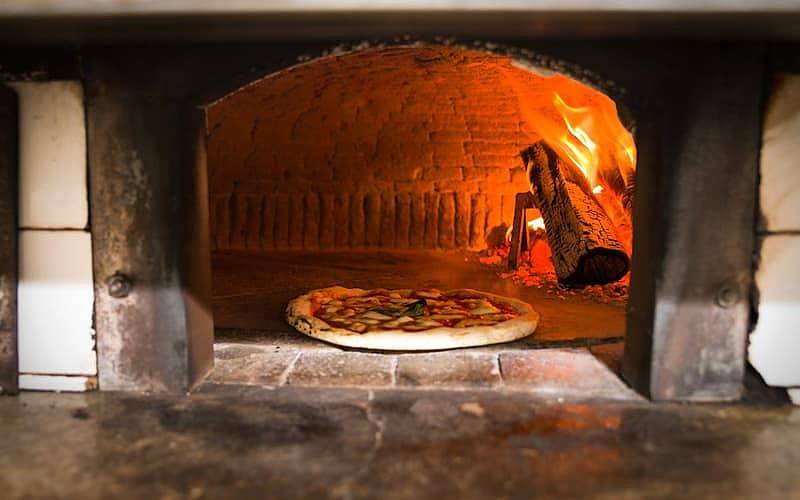 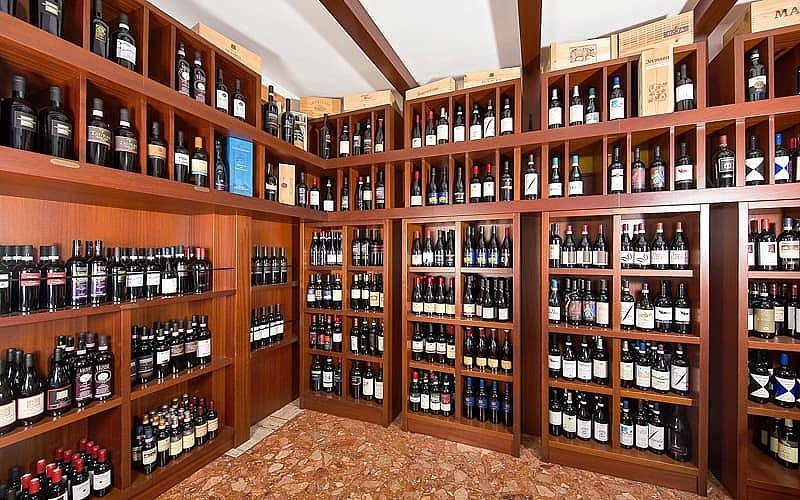 Just few steps from the famous 'La Piazzetta', the center of Capri.